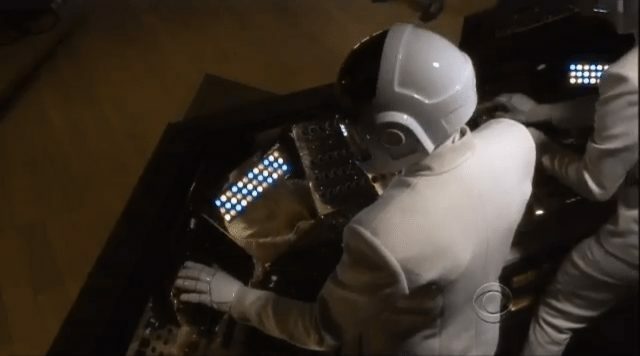 Last night Daft Punk had good occasion to celebrate at the 2014 Grammy Awards – taking home five Grammys: album of the year, best dance/electronica album, best engineered album, record of the year, and best pop duo/group performance. 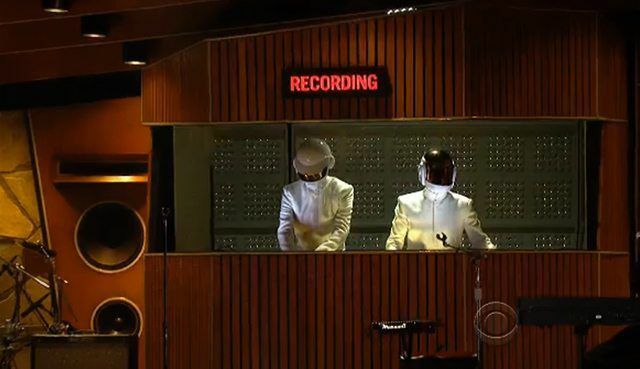 They also made their second-ever televised performance, joined by Stevie Wonder, Nile Rodgers, and Pharrell Wiliams for a live rendition of “Get Lucky”, working into “Another Star”. There were a few glimpses into the their booth during the TV broadcast, (watch the full song at the end of the article). At first glance appeared to just be a stage set – but then overnight we were linked to a photo gallery by Hollywood prop-specialist Jim Logiudice showing the set being built. Yep, that’s a BCR-2000 alright. This mid-century modern style set was designed by Daft Arts. Check out the old school audio equipment integrated into the set. Very cool. The recording booth is patterned after the ‘Mother’ space craft control room from the movie Alien. 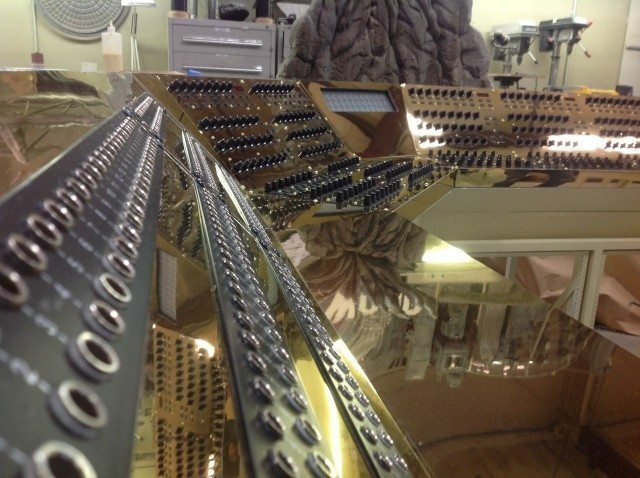 The robots gold mirror mixing console actually worked and was played live. Armin Van Buuren: What Makes A Good DJ?